Ready for a change in career and with a strong interest in property, a move into property management was the next logical step for Angela. 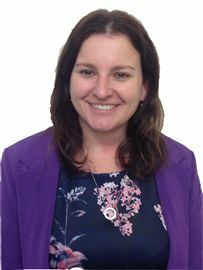 Angela is also strongly focussed on family, and as such, is ready to help move the stress of your investment property from your shoulders to hers; enabling you to spend more time with your loved ones, or simply free up your weekends. Please call her today, she would love to help! After 10 years in teaching, Sarah decided it was time for a change. Having grown up with real estate and owning several properties herself, property management seemed a logical step. Sarah's background in teaching has given her excellent organisational skills, the ability to deal with all walks of life and the resourcefulness to think on her feet. Sarah is an attention to detail person who is keen to provide exceptional service to her clients. Tracey has experience in Office Administration and Personal Assistant roles for both large and small firms, including a family run acoustics company. Tracey joined Harcourts in March 2008 as part time Personal Assistant to a top sales consultant. It was the need to increase her hours working that led to the move to Property Management in October 2010 within the same Harcourts office in Bishopdale. Tracey is a valued member of the team, providing personal assistance to the property managers. Our systems and procedures form the core of our property managment operation and Tracey has a superior understanding of our systems, service and organisation. She ensures the whole team provides excellent service to our clients and is always able to be contacted when the property managers are out of the office.